The National Football League is investigating alleged monetary rewards for causing injuries – a practice that local coaches call 'sickening'. Rewarding football players with “bounties” for injuring their opponents, as apparently practiced by the NFL’s New Orleans Saints during their Super Bowl season, is unsportsmanlike and would not be tolerated by Maine high school teams, according to several coaches and athletic directors interviewed this week who said they were appalled at the news. But because younger players may see professionals as role models, the scandal first reported last week by ESPN could have implications for interscholastic sports. “I’m just sickened by it,” said Scott Descoteaux, head coach of the Biddeford High School Tigers for the past six years. “These guys have families and this guy is paying to have them get hurt. An NFL investigation found that the New Orleans Saints had a pool from which they paid players for “knockouts” and “cart-offs.” According to the league, “knockouts” were worth $1,500 and “cart-offs” $1,000 — with payments doubled or tripled for the playoffs. The NFL said the pool amounts reached their height in 2009, the season the Saints won the Super Bowl, according to The Associated Press. The league said between 22 and 27 defensive players were involved from 2009-11, but it hasn’t publicly cited specific players. Gary Hoyt, athletic director at Cheverus High School in Portland, said such a practice runs counter to the purpose of sports. Cheverus won back-to-back Class A state championships the past two years. Those players can take pride in knowing they won fair and square, he said. “We practiced hard every day and tried to certainly do it the right way and in terms of sportsmanship and respect for our opponents and playing the game by the rules,” he said. School sports officials worry that students may try to emulate the pros in negative ways. “These guys are all role models for our high school athletes, so any time news like this comes out, it certainly has an effect on our kids in some way,” said Mike McCullum, athletic director for Portland High School. However, he doubts the desire to injure opponents is likely to get a foothold in high school sports. 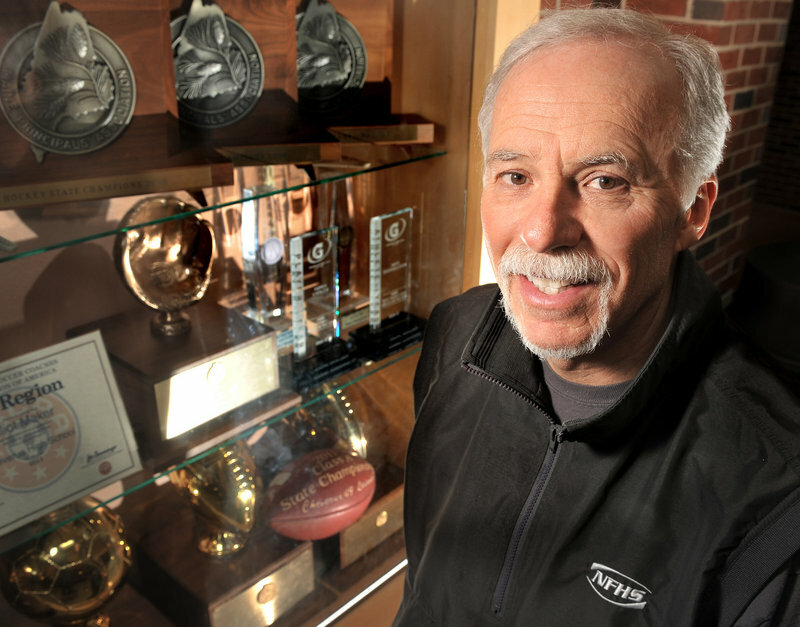 “I certainly think there’s a level of sportsmanship at the interscholastic level that is really preached upon and that we’re passionate about and that something of this nature would never trickle into our leagues,” he said. Coaches and other school officials said football can still be a tough, physical sport without resorting to dirty play. “A good, hard, aggressive play certainly does garner a team a reputation they’re looking to establish, but it’s within the rules of the game, with no intent (to injure),” said Mike Burnham, assistant executive director for the Maine Principals’ Association with responsibilities for high school football. The scandal arises as both the NFL and high school sports are taking extra steps to protect athletes from debilitating repeat concussions. Athletes now have their cognitive abilities checked before the season, and coaches have been instructed to be sure an athlete is fully healed before resuming play. “Anything that would potentially endanger any Maine athlete, male or female, is certainly viewed by every institution in Maine as a very serious thing,” Hoyt said. The allegations against the Saints were first made in the 2009 season playoffs. The NFL opened an investigation then, but dropped it because, it said in a letter to the teams, nobody would cooperate. New allegations from the 2011 season led the NFL to reopen the investigation, and this time it reviewed 50,000 pages of documents, according to The Associated Press. It found that players were paid $1,000 to $1,500 for big plays, such as interceptions, but also for knocking opponents out of the game. 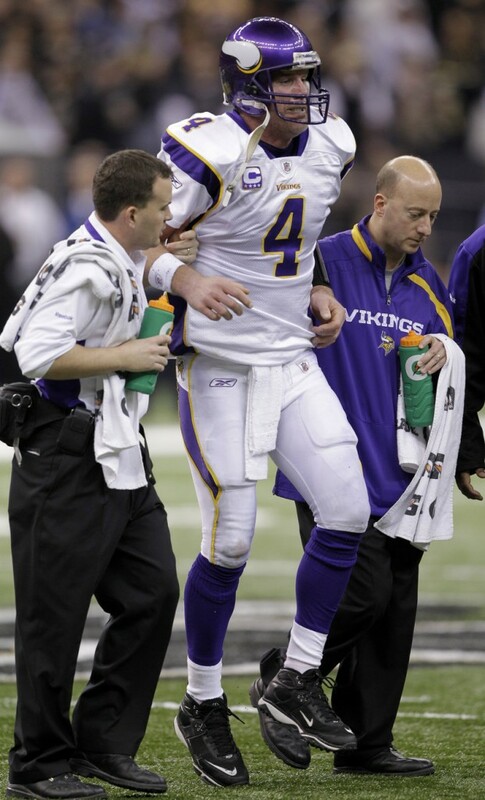 One example that has resonated with fans is an allegation that Saints defenders tried to knock Vikings quarterback Brett Favre out of the NFC championship game, during which Favre took a number of late and questionable hits. The Saints won that game and went on to win the Super Bowl. Williams has earned admiration for his skills as a defensive coordinator, particularly with the Saints, Descoteaux said. In trying to understand the behavior, Descoteaux notes that the pressure on NFL coaches is more intense than at other levels — an unsuccessful season can cost a coach his job. Ed Tolan, vice president of the Southwestern Maine Board of Football Officials, said he has been officiating high school football games for 20 years, much of it from the thick of the action at the umpire’s spot in the defensive backfield. The Saints could face severe penalties as a team. When the New England Patriots were caught videotaping the hand signals that opponents used to send in plays from the sideline, head coach Bill Belichick was fined $500,000, the team was fined $250,000 and the Patriots forfeited a first-round draft pick. Once the NFL’s investigation concludes — the league says there is no timetable — Commissioner Roger Goodell likely will hand out the stiffest penalties of his 5½ years as commissioner, which could include suspensions and fines, according to The Associated Press. Tolan, who also is Falmouth’s police chief, said it is important that the league takes decisive action to stop the practice for good.